2011 was ushered in with hope for Ayanda, a 17 year old girl from Umlazi, Durban, as she got on the bus heading for Pretoria. She had answered a job advertisement in the newspaper and was delighted that she had actually been accepted. The young girl’s delight, however, soon turned into a nightmare on her arrival. She was locked into a room by her employer where subsequently she was forced to sleep with more than 20 men a day. Food was only given to her in the evening. Eventually Ayanda was put on the street to attract clients. It was then she plotted her escape. With the help of the police Ayanda was brought to a place of safety and her “boss” was arrested. Ayanda’s story is unfortunately, one of many similar stories in this new millennium. Human trafficking has once again raised its ugly head and of late topping the list of crime stories around the world. Kevin Bales estimates that there are at least 27 million slaves in the world today with over 1 million people being trafficked each year. The IRIN report of the 12th December 2011, states that at any given time an estimated 130,000 people in sub-Saharan Africa are engaged in forced labour as a result of trafficking. There is no doubt that this highly lucrative hidden business is on the rise in Africa and indeed all over the world. According to Nicholas Kristof & Sheryl Wudunn authors of Half The SKY, far more women and children are shipped into brothels each year, than were African slaves shipped each year into slave plantations in the early 18th and 19th centuries. It is thanks to the United Nations for sounding the alarm in Palermo in 2000 and calling on states to put measures in place to combat this terrible evil. 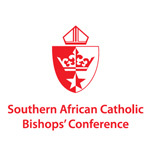 Included in the signatories at Palermo were 11 of the 15 SADC (Southern Africa Development Community) countries. South Africa in turn ratified the agreement in 2004. In the meantime 12 in all the SADC countries have ratified the agreement and 6 have put legislation in place. South Africa has not yet done so but is moving ahead with its national plan of action.